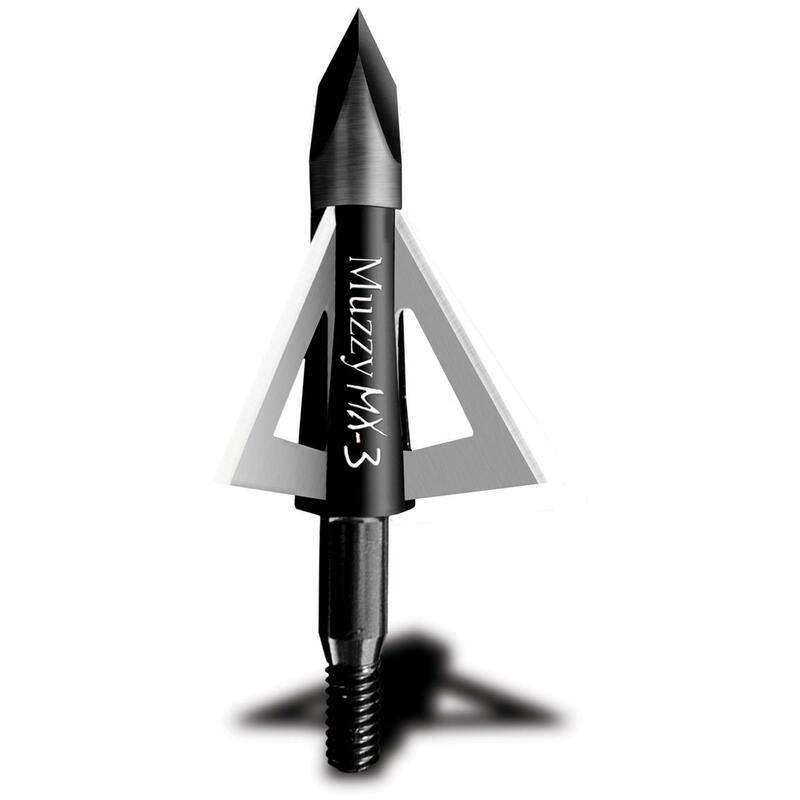 Muzzy MX-3 Broadhead 100 Grain 3-Pk. Muzzy MX-3 Broadhead 100 Grain 3-Pk. : Low profile performance that packs a punch... PRICED RIGHT! Don't think 'low profile" has to mean "reduced knock-down". The MX-3 is a low profile fixed blade broadhead with a new blade designed for added strength. Plus a new blade thickness of .025" and a 1 1/4" cutting diameter for superior knockdown power.